BRUSSELS, Belgium, June 4, 2012 (ENS) – EU governments have agreed on legislation to limit the maximum sulfur content of shipping fuels that will take effect across the European Union at the end of the decade. Burning marine fuels with high sulfur content emits sulfur dioxide and particulate matter, which contribute to ocean acidification and harm human health. The European Commission estimates that burning high sulfur marine fuels causes 50,000 premature deaths each year in the 27 EU member states. Without this directive, said EU Environment Commissioner Janez Potocnik, emissions from shipping would by 2020 exceed emissions from all land-based sources. “I am pleased that legislation to reduce sulfur and hence secondary particulate matter emissions from ships now have the political support of member states,” Potocnik said. “This is excellent news for our health and the environment, especially in ports and coastal areas, as it means that an agreement with the European Parliament on the directive on the sulfur content of marine fuels is now possible,” he said. The new law renders the most recent International Maritime Organization rules on marine fuel standards mandatory in the European Union. The text of the agreement was negotiated in informal meetings between the Council of Ministers, represented by the Danish presidency, the European Parliament and the European Commission. Under the new law, the maximum sulfur content of fuels will be limited to 0.5 percent for all ships from 2020, down from today’s content levels of 3.5 percent for cargo vessels and 1.5 percent for passenger ships. 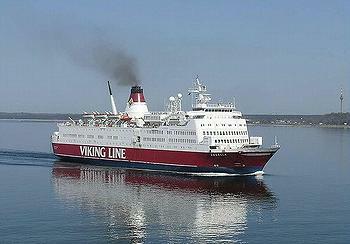 A stricter limit of 0.1 percent will apply from 2015 to ships operating in “sulfur emission control areas,” which include the North Sea, the Baltic Sea and the English Channel. The limit in these areas now is one percent. According to the European Commission, switching fuels or exhaust filters to meet the new limits will cost the shipping industry between 2.6 billion and 11 billion euros. These costs are estimated to be outweighed by public health benefits of stricter sulfur limits of between 15 billion and 30 billion euros. Since the costs of new requirements to reduce sulfur emissions could have negative effects on the competitiveness of the industry and could produce a modal shift from sea to land, member states may provide support to operators as long as support is in line with EU state aid rules. The agreement asks the Commission to make “full use” of financial instruments already in place and promote the development and testing of alternative technologies to reduce emissions from ships. “Highly polluting shipping fuels have a serious impact on the environment but also on public health,” said Satu Hassi of Finland, a Green Member of the European Parliament, after her legislative report was adopted in February. Financial penalties for violators to be set by member states should at least be equivalent to the benefits of infringing the directive, the agreement states. The agreement must be approved by EU ministers and lawmakers, a process that is expected to be completed by September at the latest. Member states will have 18 months after the entry into force of the directive to adopt the necessary national provisions. 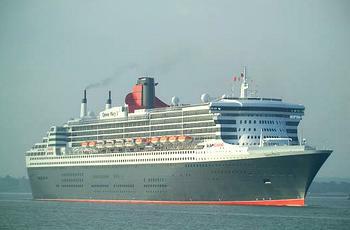 The Commission is expected to write a report by December 2013 considering the potential for reducing air pollution by ships. In the review of the Commission’s air quality policy scheduled for 2013, the Commission will consider all possibilities how to reduce air pollution, including in the territorial seas of member states.